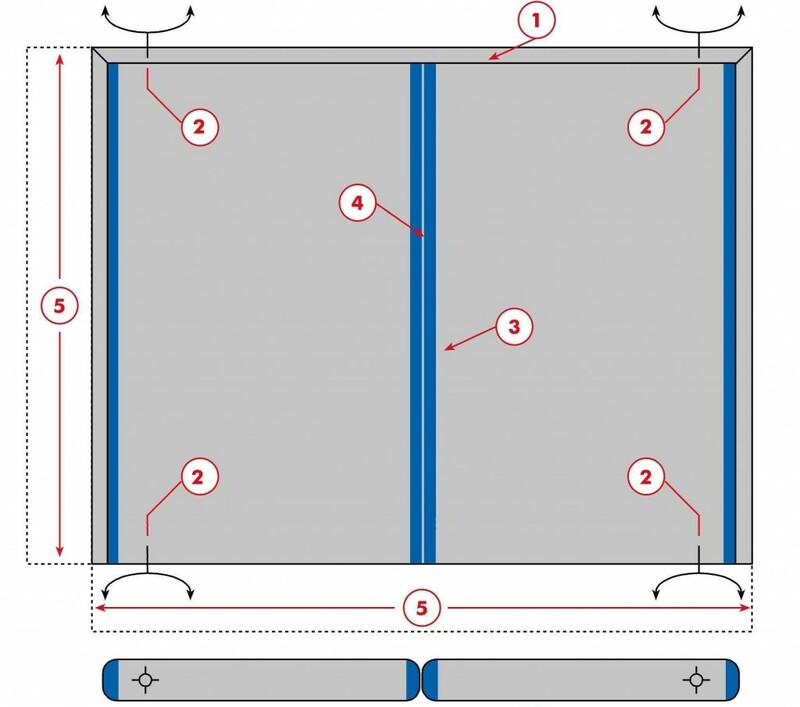 The swing door, available in single and double versions, can be opened in both directions. These doors are fixed on pivot hinges which open the leaves to 90° on either side of the opening. The leaves have rounded joints enabling total opening to 180°. Swing doors can be locked if they are fitted with a deadlock at the top and/or bottom of the leaf. 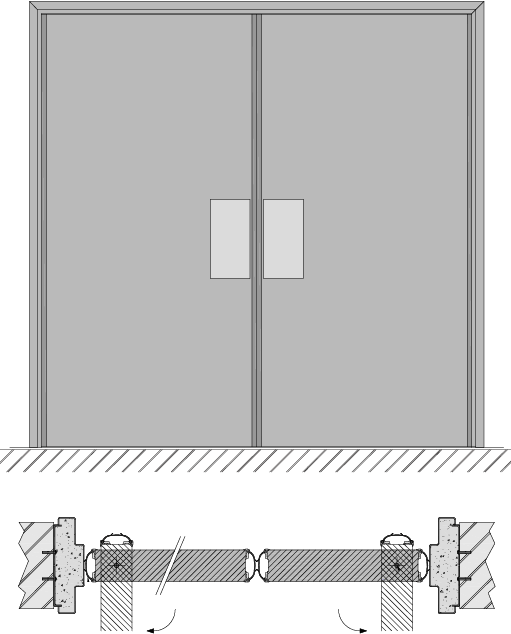 When will a swing door be used? Most frequently used in kitchens, these doors are fire resistant and usually glazed to avoid two people on either side of the door pushing or pulling in opposite directions. They can also be used in warehouses, storage areas in department stores, where they have the advantage that they can be opened simply by pushing, with a trolley, for instance in both directions. This type of door is also frequently used in corridors where a two-way exit is necessary in the event of a fire (hospitals, schools, car parks, etc.). Two stainless steel pivot hinges (one pivot hinge in the floor and one in the frame). The pivot hinges serve as door closers. Peep-holes (glazing) (standard size / purpose-made), extensively glazed doors, many types of glazing, ventilation grilles, etc. For other fittings, consult us!